Pink and black curtains!! | ARTZCOOL'S BLOG! 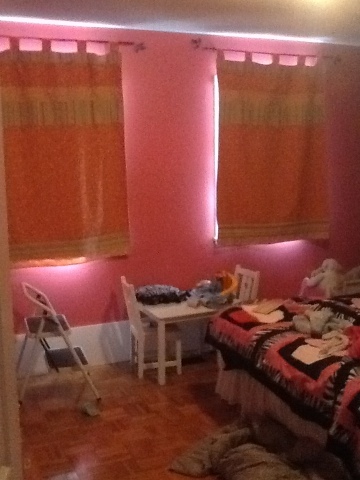 I am really getting close to finishing my daughter’s room…. Which is great because I started decorating it two months ago on the Christmas holidays, and it is now the middle of February! But, I have learned that taking your time is the best way to do things with the least amount of stress… Take your time and have fun! 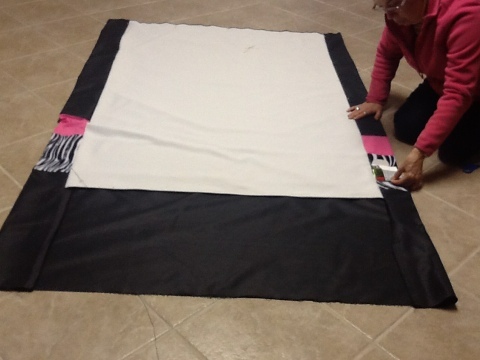 The step in sewing the curtains, was to decide on a design. I had bits and pieces left over from the quilt, and I bought some plain black fabric for the background. As always, I spread out the fabric on the basement floor before starting, to see what it’s going to look like. I decided to keep the design of her curtains pretty simple. 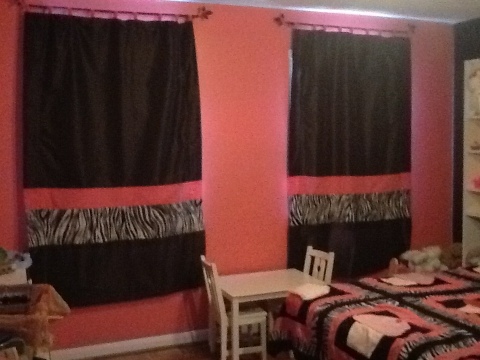 I figured that after I painted a entire wall of her room pink leopard skin, maybe i should keep the curtains simple. I cut out rectangular panels from the black fabric. I tried to make them as large as possible, making sure they were a few inches wider than the window on either side. 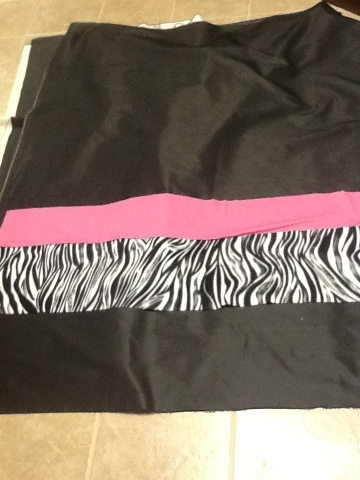 I also cut out the strips of fabric in the pink and in the zebra skin fabric the same width as the black fabric. 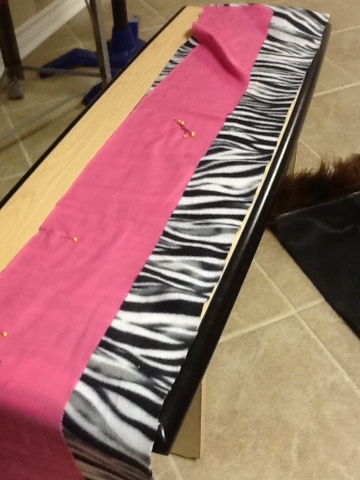 The first step was to sew together the pink and zebra strips of fabric. 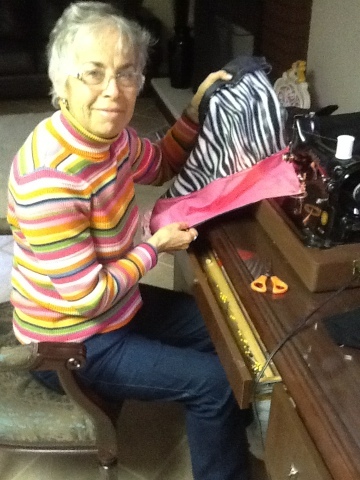 Then, we sewed the strips together with the black fabric to complete the panel. 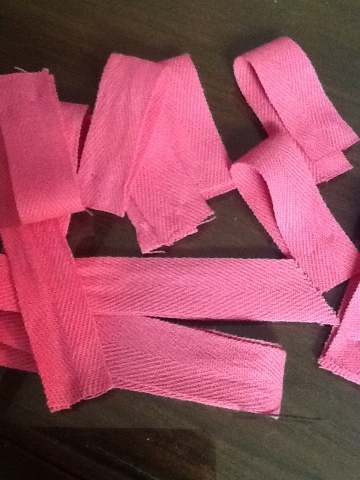 Now for the tricky part…the lining. I splurged on buying some blackout lining, which is a fabric that is designed to block out all of the sunlight. I would highly recommend blackout curtains for any bedroom, they make a huge difference in the summer! 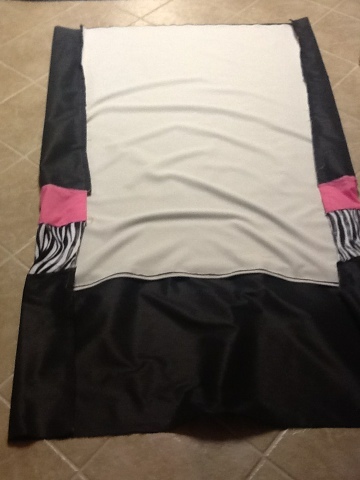 Anyways, because the blackout fabric was more expensive, I didn’t have as much of it to work with. 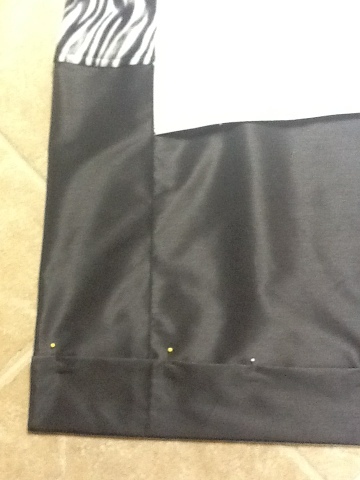 So the width and length of the black fabric was about a foot larger than the lining. We pinned, then sewed down both side seams, without cutting any of the black off, which made the width of the front much more than the back. I hope the pictures will explain. As you can kind of see, we turned the curtains right sides out and then laid it out flat and pinned down both sides so the black was even on both sides. 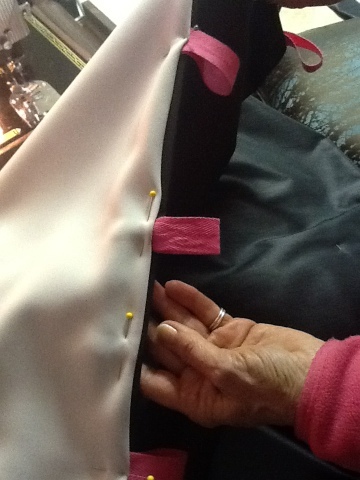 To add the loops on the top, we turned the raw edges in, pinned in the ribbon loops, then sewed across the top. 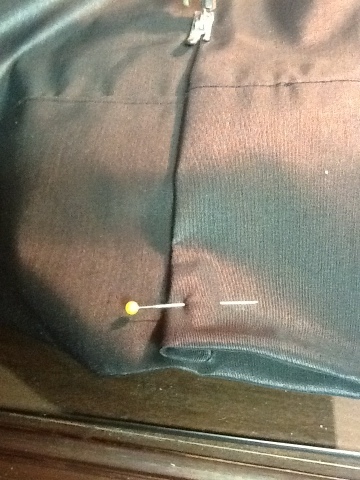 To finish the bottom, we turned it up a couple inches and sewed straight across. Then we used the existing curtain rods to hang them. Thanks to my mom’s help, it went pretty quickly and it was nice to spend the day with her! Thanks mom! I visit every day a few sites and blogs to read posts, however this website presents quality based posts.